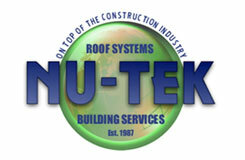 NU-TEK ROOF SYSTEMS, Inc. is a privately owned NJ Corporation formed in 1987. 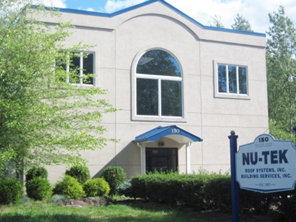 NU-TEK generally performs work in the private sector for large fortune 500 companies. Our overall long-term focus is on developing customer relations by providing prompt professional service exceeding that generally available in our industry. NU-TEK strives to comply with all state and federal safety laws and does so by employing an OSHA 500 certified safety officer, who oversees as well as trains our employees. With over 22 years experience in the installation and repair of buildings requiring roofing, waterproofing and architectural sheet metal work. Our knowledge and experience in both commercial and residential roof applications is focused on providing our customers with the best roofing systems available in the industry. As a roofing company we have installed PVC, KEE, TPO, EPDM, Modified Bitumen, Conventional Built Up roofing system for low slope applications. In addition, NU-TEK has done a number of residential and commercial Architectural Metal Roof Systems, Slate, Tile and Shingles for sloped roofs. NU-TEK is an approved licensed applicator for some of the largest manufacturers in the commercial and residential roofing industry. Companies like Carlisle, Fibertite, Firestone, GAF, Johns Manville and Sarnafil have awarded NU-TEK their highest ratings for workmanship, project and business management. NU-TEK six years ago ventured into the Solar Industry to help companies meet their energy needs. We have installed a number of solar systems including our own building. This market continues to grow with a number of building owners looking to install a solar system along with their roofing installations. 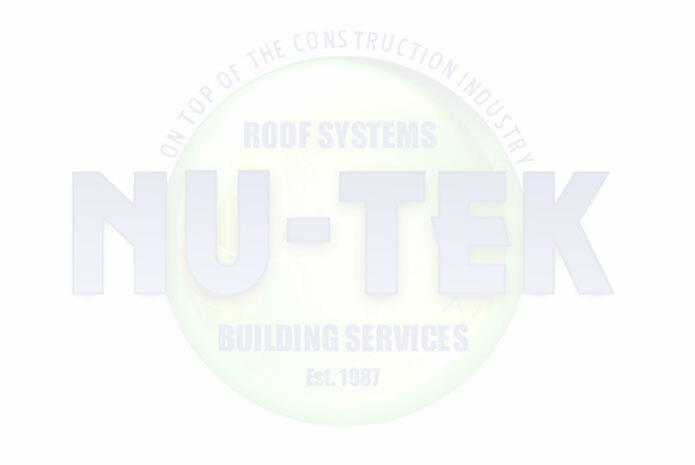 NU-TEK is also involved in the waterproofing of commercial and residential buildings. Whether the application is above grade or below grade, we use the latest coatings, caulking and sealants to insure the building stays air and water tight. We work with building owners, architects and consultants to determine the best way to seal the moisture out of their buildings. Using infared scanning tools we can determine the areas on existing buildings that are deficient causing moisture to get into the building while letting heat and air to escape.